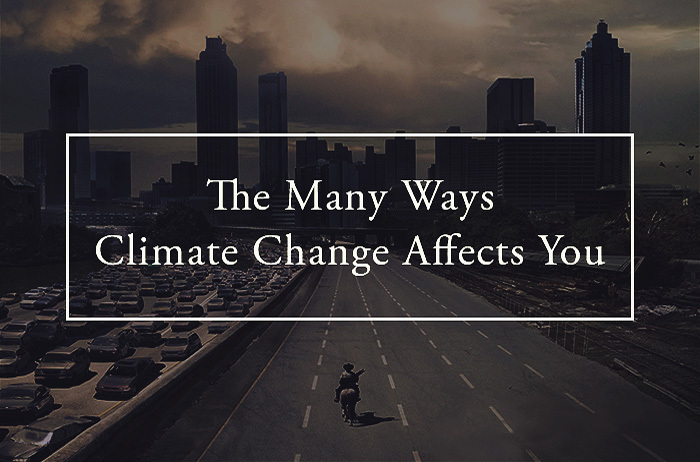 Climate change has constantly been affecting every part of the world, slowly but surely. There has been increase in the average global temperature, extreme rising sea levels, contaminated water, floods, droughts, and increase in the amount of greenhouse gases in the atmosphere. Such changes are not only harmful to the environment but also for the health of all living things in it. Fortunately, the availability of affordable prices of solar panels in the Philippines is an evident that the country is doing its best to fight the climate change. To convince you to join the green movement, note these negative effects of climate change to the health of your loved ones. The extreme changes in our environment directly affect the quality of air that we breathe—both indoors and outdoors. The rapid changes in temperature may worsen the condition of the air quality and bring about various diseases. For example, frequent rain can increase the presence of fungi, mold, and other indoor air pollutants. The chemical air pollutants from various power plants and from burning fossil fuel could cause several respiratory conditions, such as asthma, lung cancer, pulmonary disease, and emphysema, among others. On the other hand, air pollution can also be obtained through various household chores, such as cooking and heating using solid fuels. Hence, it is a more sensible choice to opt for sustainable alternative of solid fuels. The amount of carbon dioxide in the atmosphere can directly affect the food safety and its distribution to the people. For example, the exposure of the ocean to various chemicals can affect the contamination of seafood, such as fishes and shrimps. Frequent droughts and floods also affect the agricultural and yield production that may compromise the food supply. Did you know that for every degree centigrade that the temperature raises, the death rate can increase by 2% to 5%? Either extreme heat or cold is harmful to humans. Whether there is higher humidity or hotter temperature, both conditions could encourage the reproduction of more ticks, a bloodsucking insect, which spreads infections. Climate change is definitely changing the way we live in this world. Various negative effects are evident with the continually increasing of air and ocean temperature around the world. Climate change is the biggest global health threat of the 21st century. Fortunately, several preventive measures are being promoted by various environmental organizations to inform and persuade people to join the movement in saving and protecting our environment. How well we survive will only depend on how well we adapt on these changes and how well we are doing our part to stop such destructive changes. Get involved now and start living a sustainable life.